From an insta-famous poetess to NY Times bestselling author, Rupi Kaur has seen a wonderful journey through her compelling poems and feminist thoughts. Her first book Milk and Honey went on to become a bestselling book on Amazon and was featured at the top on various bestseller lists across the world. While millions of readers are still in the beautiful hangover of her first book, Rupi Kaur, has just announced her next book. Yeah, you heard it right! The bestselling author of Milk and Honey is all set to release her second book and it has already become an instant bestseller. 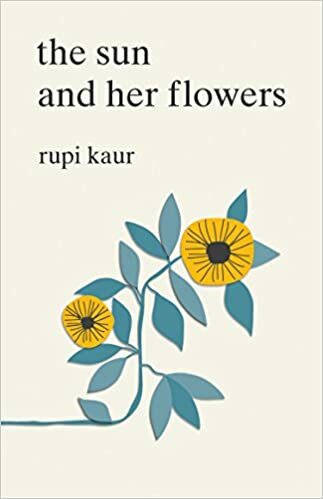 On 11 July, Rupi Kaur shared the cover of her new book, The Sun and Her Flowers in a series of posts on her Instagram profile. The bestselling author told her fans that her new book will be published on 3rd October this year. In case you don’t follow her on instagram, here is what she shared with fans. 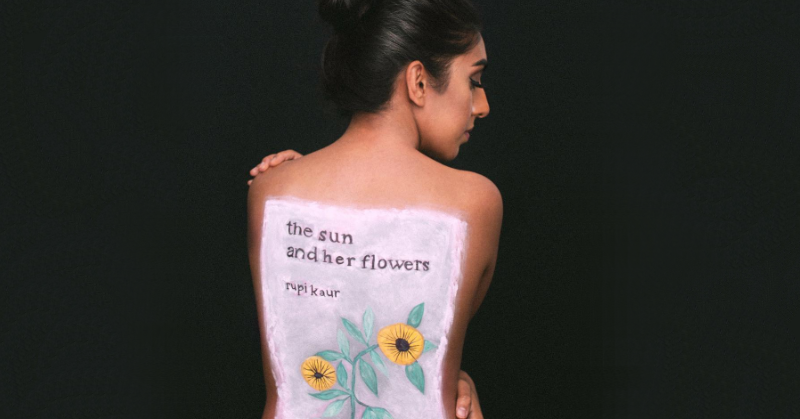 Rupi shared a picture of herself with the cover of her new book, The Sun and Her Flowers beautifully painted on her bare back. It clearly matches her bold poems depicting strong women. Well, full marks to Rupi for such a creative way to announce her new book. The above post has already received more 140k likes and has been shared thousands of time on various social networks. The Sun and Her Flower by Rupi Kaur Pre-orders Started! The Sun and Her Flowers by Rupi Kaur has five chapters and poems are thoughtfully illustrated by Rupi herself. Readers have equally appreciated her illustrations in her first book – Milk and Honey. As per the description of the book, this book is a journey of wilting, falling, rooting, rising, and blooming. Although this new book, The Sun and Her Flowers by Rupi Kaur, will be available in stores not before October 3rd, the good news is that the readers can pre-order their copies on Amazon. What are you waiting for guys? Click the pre-order button above to get your copies. Excited to read The Sun and Her Flowers? Share your thoughts about Rupi Kaur’s new book in the comments section below! I cannot contain my excitement for this book! Rupi Kaur’s writing is so sophisticated and beautiful I can’t handle how breath-taking it is! Her poems are some of the best feminist writing and encouragement for self-loving that I have ever read!